Numerous MPB working papers were written for the Mountain Pine Beetle Initiative (MPBI) administered by the Canadian Forest Service. The MPBI began in 2002 and was a six-year package of programs with a total budget of $40 million. Stakeholders will find a wealth of information in the numerous working papers such as moisture content in infested trees regarding time since death (tsd). The stages infested trees go through after the green stage include the red stage, where the tree shows characteristics of dying (i.e., red needles) in the stand for 2-4 years,and the grey-stage, where the tree has been dead in the stand for 5 or more years. During the evaluation of moisture content (MC) it is important to understand that fiber saturation point (FSP) varies with tree species. FSP is when there is no longer any free water between the cell structures. 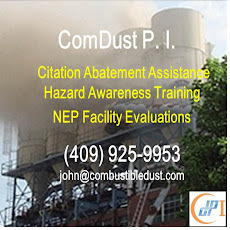 (see page 18 .pdf) NFPA 664 defines deflagrable wood dust when the moisture content (wet basis) is less than 25% and the median particle size is less than 500 microns. Converting from dry-basis to wet-basis moisture content calculations. A problem arises when the science is not applied when conducting a hazard evaluation of the fire and explosion properties of wood dust. When the raw material input changes from green wood with high moisture content to low moisture content MPB infested trees a management of change (MOC) is warranted. "Moisture in dust particles raises the ignition temperature of the dust because of the heat absorbed during heating and vaporization of the moisture. 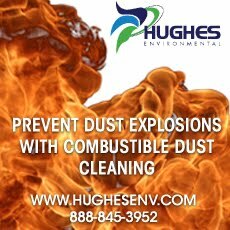 The moisture in the air surrounding a dust particle has no significant effect on the course of a deflagration once ignition has occurred. There is however, a direct relationship between moisture content and minimum energy required for ignition, minimum explosive concentration, maximum pressure, and maximum rate of pressure rise. For example, the ignition temperature of cornstarch may increase as much as 122 Fahrenheit, with an increase of moisture content from 1.6 percent to 12.5 percent. 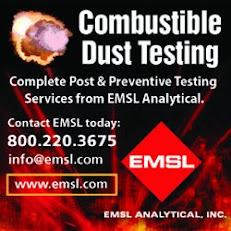 As a practical matter, however, moisture content cannot be considered an effective explosion preventive, since most ignition sources provide more than enough heat to vaporize the moisture and to ignite the dust. In order for moisture to prevent ignition of dust by common sources, the dust would have to be so damp that a cloud could not be formed." (Source: Fire Protection Handbook, 19th Edition). An excellent resource concerning moisture content in MPB infested trees versus non-infested trees is the paper Moisture changes in lodgepole pine before and after attack by the mountain pine beetle by Dr Rob Reid who worked at the Forest Entomology and Pathology Branch, Department of Forestry, Calgary, Alberta. Dr. Reid conducted moisture content studies on MTB trees near Invermere, British Columbia, and Banff, Alberta, in the period 1955-1960. The nine page .pdf has excellent figures and tables illustrating moisture content in MPB infested trees versus non-infested trees. Many of the scientific papers written were the result of the $40 million dollar Canadian Mountain Pine Beetle Initiative (MPBI) program (2002-2008) which reference Dr Reid's 1961 paper. The problem we have now is that industry has not utilized the wealth of scientific data acquired in the Mountain Pine Beetle Initiative (MPBI) in assessing fire and explosion risk when these infested trees are processed. Moisture content of lumber produced from dead western white pine and Lodgepole Pine trees.